Meet Praire Aerial, the man who is most dedicated to his job more than anyone else. Could you imagine yourself climbing up a 1500 foot tower to change a single light bulb? After watching the video footage you will end up with sweaty hands and shaky hands, as you might end up having a heart attack. "Somebody has to change out that light bulb at the top of those tall TV towers! 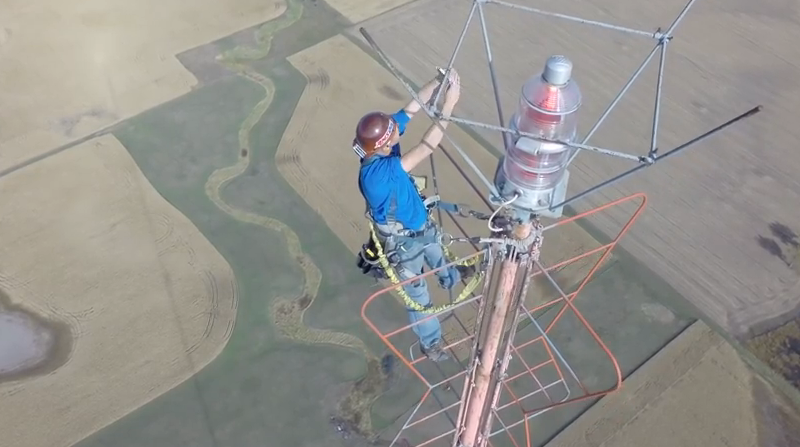 This is tower climber Kevin Schmidt making the climb to the very top of the now inactive KDLT TV analog broadcast antenna near Salem, SD. It was a beautiful fall day for a climb and the views are stunning! I would suggest watching at 1080 HD in full screen to get a small taste of the experience." I assume Praire would earn a lot of money, but would you risk your life for a job this dangerous?